Hoops for Hope is a fundraiser for Tomorrow’s Hope and the Jefferson School District. This all-day event begins at 9:00 a.m. with the third grade youth basketball tournament and the Craft & Vendor Fair. We have over 30 vendors confirmed selling items that range from original artwork, clothing, soap, photography, hand-crafted jewelry, greeting cards, and more. Additional activities throughout the day include kids' activities, free open swim, the basket raffle, photo opportunities with local mascots, and half-time activities. Starting at 5:40 p.m. Jefferson will play Lakeside Lutheran in JV and Varsity girls basketball games. We hope you’ll come join the students as they play with passion and purpose. 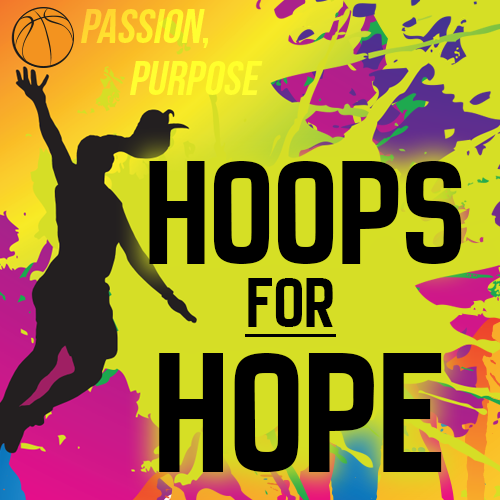 There is an admission fee to enter any event or activity associated with Hoops for Hope. Please plan to bring cash or your ATM card with you.